I find Pratap Bhanu Mehta one of India’s most readable scholar and commentator. His latest essay in the Indian Express is a particularly good one. He points to the manner in which institutions have been eroded by India’s political class. A more important point he makes is that the the "vast majority of our politicians simply do not understand the meaning of one word: institutions." I do not always agree with him, of course. He remains a liberal in international politics as he is on domestic issues, and I find liberalism in international politics somewhat tedious. But even here, Mehta is still one of the most readable liberals. His essay a few years back on the absence of a foreign policy framework (pay site) in India is one of the best ever attempts at a broad analysis of India’s foreign policy. I would also recommend another essay he wrote recently about India’s role in South Asia. Coming back to the few disagreements I have with his IR work, the best illustration is his essay a few weeks back on Pakistan. He starts out promisingly (and usefully) distinguishing Realism from domestic political demagoguery of the kind that some BJP leaders such as Sushma Swaraj indulged in over the issue of the beheading of an Indian soldier after a Pakistani ambush along the Line of Control (LoC). He also dismisses much of the hogwash that animate the Delhi liberal crowd about changing Pakistani society in order to change the dynamic of India-Pakistan relation. But he also characterises India’s Pakistan policy over the last ten years as ‘realistic’, which I would disagree with. While it is true that our options are limited in dealing with Pakistan, I had argued earlier in a short essay that we do have options which we have not explored. This includes military escalation and covert action in support of groups that fight the Pakistani state. I do not believe that all military action will lead to nuclear escalation, a fear that Pakistan has successfully implanted in New Delhi. 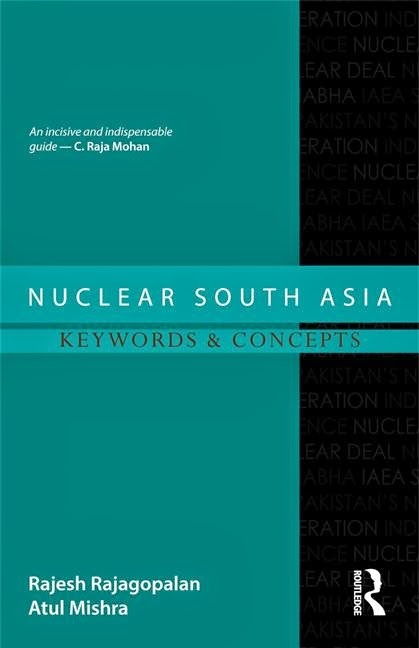 The Pakistani military, contrary to conventional wisdom in Delhi, is not crazy and they are unlikely to reach for the nuclear button unless we are knocking on the gates of Rawalpindi which nobody is advocating. 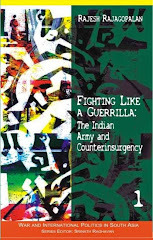 The problem is disjuncture between Indian political leadership and military leadership that leads to problems such as the one over Cold Start doctrine. Though I have no way to prove it, I suspect that the Indian civilian and military leaders have not sat down to discuss and decide what military options there are and what is most feasible if there is another major terrorist attack. So, if another attack does take place, there would once again be panic reactions, quick-fix solutions and statements from senior leaders about how our patience is not unlimited. It is, of course. Shall We Bank on BRICS, A Coalition of Unequals?